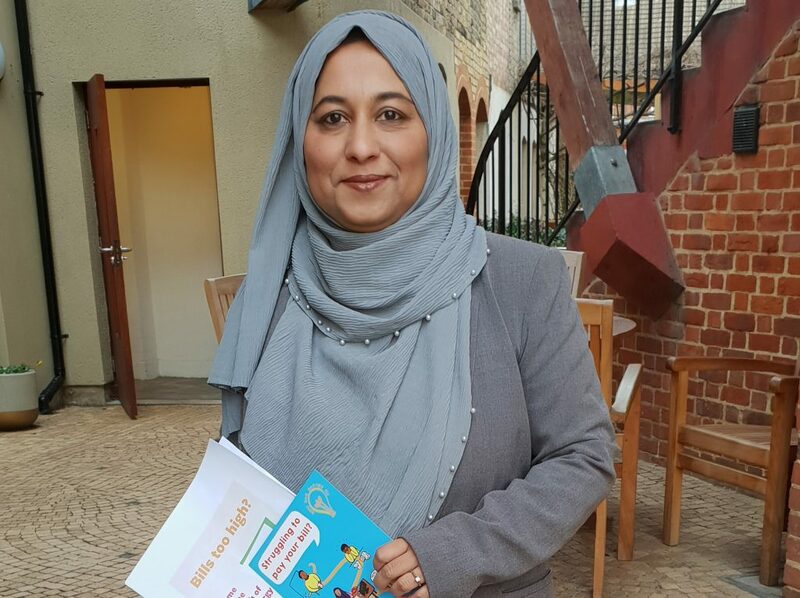 Mosrath Jahan is a member of our East End Energy Fit team and she has received a well deserved National Heat Hero award at Parliament, along with others from all over the country, recognised for their service to people in fuel poverty. Mosrath has been providing advice to families in fuel poverty in Tower Hamlets and East London for the past 7 years. In the past year she’s supported over 200 clients to manage almost £100,000 of utility and other debts, to access almost £60,000 in additional annual income, save over £10,000 by switching tariff, and access over 40 grants worth more than £23,000 in arrears relief and daily living support. The Bromley by Bow Centre has been delivering energy advice for 7 years and is funded by British Gas Energy Trust. Each year, we see 1,000 people for energy advice. Last year the service increased the income of clients by £715k per year, wrote off £68k in utility debt and acquired £91k in grants for beneficiaries. 71 people were helped to switch energy tariffs resulting in £14K of savings. Our East End Energy Fit service offers free, impartial and confidential advice for people who are struggling to pay their gas, electricity or water bills to help you keep your home warm, stay on top of your bills and save money. We work with a range of providers to offer free, specialist advice to Tower Hamlets residents on a wide range of issues including housing, employment and debt.